BA Releases Details Of New First Wing At Heathrow. British Airways has today released the details of its new First Wing at Heathrow Airport which opens at the beginning of April. The location and design of the new First Wing means that Gold card holders will no longer have to make the circuitous route around T5 in order to access the lounge. The details released by British Airways today include several new features. 1. An exclusive entrance – the entrance to The First Wing is through a “scalloped steel and glass enclosure, with the centrepiece carrying the iconic BA coat of arms”. 2. A dedicated security lane – there is a new security channel and then a direct route to the Galleries First lounge and the Concorde Room. 3. Greater privacy – a specially-designed, curved, fluted wall, three metres high and 29 metres long, “keeps the area separate and private”. 4. More space for check-in – the First Wing check-in area is more than 250 per cent larger than before. It also has more seats including armchairs, marble-topped side tables and bespoke leather banquettes. And if you need to do some last minute shopping before your flight, you can always enjoy the escalators down to the retail area, which you previously had to walk past in order to get to the Galleries First lounge – enjoy! https://gtm.uk.com/wp-content/uploads/2016/12/british-airways-getty.jpg 1536 2048 Paul https://gtm.uk.com/wp-content/uploads/2015/05/logo_trans.png Paul2017-03-23 16:02:062017-03-23 16:02:06BA Releases Details Of New First Wing At Heathrow. 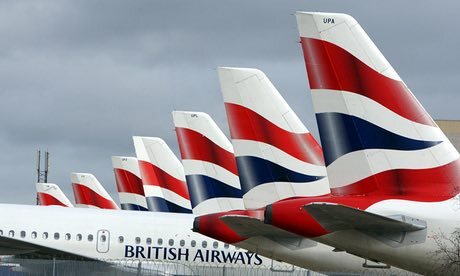 BA Introduces Club Europe On UK Domestic Flights. British Airways are going to introduce Club Europe, their short haul business class product, to flights within the UK and are also replacing the current UK domestic service with their Euro Traveller brand as the economy cabin. This change aligns their cabins across their short haul network and enables travellers connecting to or from a long haul destination to enjoy a consistent experience throughout their journey. Tickets are now available to buy for travel from 1 April 2017.
https://gtm.uk.com/wp-content/uploads/2016/12/3239.jpg 276 460 Paul https://gtm.uk.com/wp-content/uploads/2015/05/logo_trans.png Paul2017-03-06 16:18:382017-03-06 16:18:38BA Introduces Club Europe On UK Domestic Flights. New British Airways Route To New Orleans. Staring from Monday 27th March 2017, British Airways will start flying from London Heathrow to New Orleans (MSY). The Louisiana city, known as ‘The Big Easy’, will be served four times a week from London Heathrow Terminal 5. The new service will also be the first direct flight between Europe and New Orleans. The service will operate on Mondays, Wednesdays, Fridays & Saturdays using a new Boeing Dreamliner 787-8 aircraft, with a 3 cabin configuration (World Traveller, World Traveller Plus & Club World). https://gtm.uk.com/wp-content/uploads/2015/01/BA-Logo1.gif 80 200 Paul https://gtm.uk.com/wp-content/uploads/2015/05/logo_trans.png Paul2016-10-24 08:32:262016-10-24 08:32:26New British Airways Route To New Orleans. Important Change Of Check-In Time At London Heathrow. From 30th October 2016 the minimum check-in time for British Airways long-haul flights at London Heathrow Airport will be 60 minutes prior to departure. Check-in for short-haul flights will remain unchanged at 45 minutes. https://gtm.uk.com/wp-content/uploads/2014/04/BA-Logo.gif 80 200 Paul https://gtm.uk.com/wp-content/uploads/2015/05/logo_trans.png Paul2016-10-24 08:22:192016-10-24 08:22:19Important Change Of Check-In Time At London Heathrow.